In the beginning months of 2016, travelers to Central and South America were warned of a new disease outbreak that not only threatens the well-being visitors, but also puts unborn children at risk. Across the Americas, over 20 countries fought against the Zika virus pandemic. 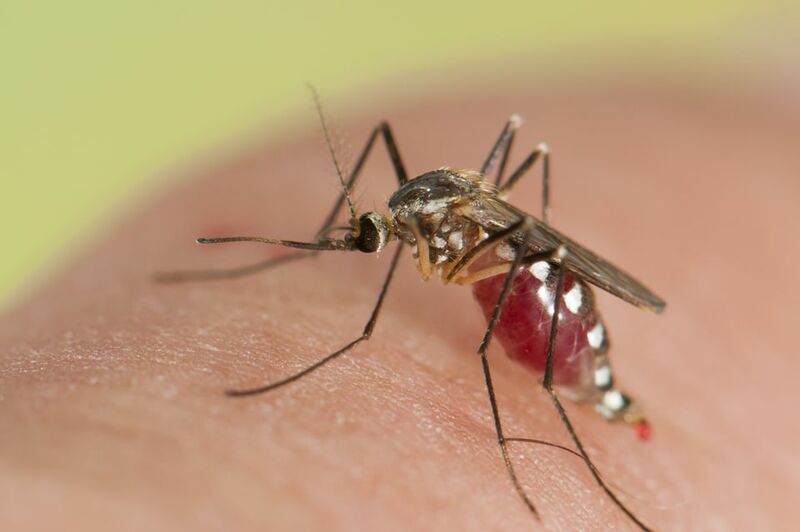 Spread by infected mosquitoes, travelers who visit any of the affected countries identified by the Centers for Disease Control (CDC) are at risk for infection. According to CDC statistics, approximately 20 percent of those who come in contact with the virus will develop Zika, a flu-like illness that can create severe discomfort. What is Zika? More importantly, are you at risk from the Zika virus? Here are five answers every traveler needs to know about the Zika virus before traveling to a potentially affected nation. According to the CDC, Zika is an illness that is very similar to both dengue and chikungunya, while closely resembling a common flu. Those who are ultimately infected with Zika may experience a fever, rash, red eyes, and pains in the joints and muscles. Hospitalization is not necessarily required to combat Zika, and deaths rarely occur in adults..
Those who believe they may have contracted Zika should consult a doctor to discuss treatment options. The CDC recommends rest, drink fluids, and use acetaminophen or paracetamol to control the fever and pain as a treatment plan. What regions have the most risk from the Zika virus? In 2016, the CDC issued a Level Two Travel Notice for over 20 countries in the Caribbean, Central America and South America. The countries affected by the Zika virus include the popular tourist destinations of Brazil, Mexico, Panama and Ecuador. Several islands, including Barbados and Saint Martin, are also affected by the Zika outbreak. In addition, two American possessions that travelers can visit without a passport have made the notice list as well. Both Puerto Rico and the U.S. Virgin Islands were under alert, with travelers urged to practice precautions while traveling to the destinations. Who is most at risk from the Zika virus? While anyone traveling to the affected areas are at risk for the Zika virus, women who are pregnant or are planning to become pregnant may have the most to lose. According to the CDC, cases of Zika virus in Brazil have been linked to microcephaly, which can harm an unborn child in development. According to medical documentation, a child born with microcephaly has a notably smaller head at birth, due to improper brain development in the womb or after birth. As a result, children who are born with this condition could experience multiple difficulties, including seizures, developmental delay, hearing loss and vision problems. Can I cancel my trip over the Zika virus? In select situations, airlines are allowing travelers to cancel their trips over Zika virus concerns. However, travel insurance providers may not be as generous to those traveling to affected regions. Both American Airlines and United Airlines are offering travelers the opportunity to cancel their flights over concerns of Zika infections at the destinations outlined by the CDC. While United will allow travelers with concerns to adjust their trip, American is only allowing cancellations at certain destinations with a written confirmation of pregnancy from a doctor. For more information about airline cancellation policies, contact your airline prior to departure. However, travel insurance may not necessarily cover Zika as a legitimate reason for trip cancellation. According to travel insurance comparison site Squaremouth, concerns of the Zika may not be enough to warrant trip cancellation claim from an insurance policy. Those who may be traveling to the affected areas should consider purchasing a Cancel for Any Reason policy when organizing travel arrangements. Will travel insurance cover Zika virus? Although travel insurance may not cover trip cancellation due the Zika virus, a policy can work to cover travelers while at their destination. Squaremouth reports many travel insurance providers do not have medical exclusions for the Zika virus. If a traveler were to become infected with the virus while abroad, travel insurance could cover treatment. Furthermore, some travel insurance policies include a cancellation clause if a traveler were to become pregnant prior to departure. Under this cancellation clause, pregnant travelers may be able to cancel their trips and receive compensation for lost expenses. Before purchasing a travel insurance policy, be sure to understand all the limitations. Although the Zika virus outbreak may be frightening, travelers can safeguard themselves prior to departure. By understanding what the virus is and who is at risk, adventurers can make educated decisions about their travel plans throughout the situation.